UPDATED: Tue., Aug. 21, 2018, 9:32 a.m.
Heisman Trophy runner-up Bryce Love of Stanford and Outland Trophy winner Ed Oliver of Houston highlight The Associated Press preseason All-America team. Chosen by AP poll voters, the team announced Tuesday also features West Virginia quarterback Will Grier and his teammate, receiver David Sills V. Washington running back Myles Gaskin made the first team as an all-purpose player. Love, along with Clemson defensive end Clelin Ferrell, Wisconsin linebacker T.J. Edwards and Utah kicker Matt Gay, were the only players who made first team All-American after last season and first team to start this season. Love ran for 2,118 yards and 8.05 per carry last season and was second to Baker Mayfield in the Heisman Trophy voting. Oliver was a second-team All-American last year after being first team as a freshman in 2016. Clemson and Wisconsin led the way with three players on the first team. Alabama and Wisconsin each had a total of five players on the first and second teams combined. Quarterback – Will Grier, senior, West Virginia. Running backs – Bryce Love, senior, Stanford; Jonathan Taylor, sophomore, Wisconsin. Tackles – Jonah Williams, junior, Alabama; Mitch Hyatt, senior, Clemson. Guards – Beau Benzschawel, senior, Wisconsin; Nate Herbig, junior, Stanford. Center – Ross Pierschbacher, senior, Alabama. Tight end – Noah Fant, junior, Iowa. Receivers – A.J. Brown, junior, Mississippi; David Sills V, senior, West Virginia. 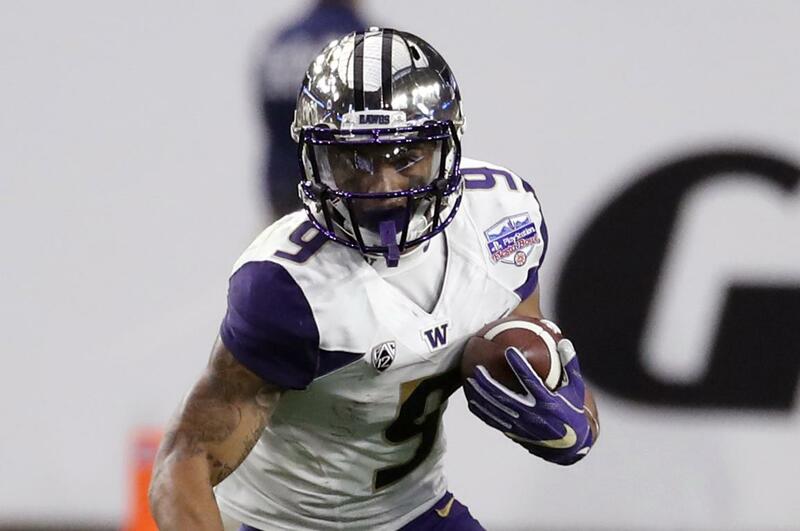 All-purpose player – Myles Gaskin, senior, Washington. Kicker – Matt Gay, senior, Utah. Ends – Nick Bosa, junior, Ohio State; Clelin Ferrell, junior, Clemson. Tackles – Ed Oliver, junior, Houston; Christian Wilkins, Senior, Clemson. Linebackers – Devin White, junior, LSU; Devin Bush, junior, Michigan; T.J. Edwards, senior, Wisconsin. Cornerbacks – Greedy Williams, sophomore, LSU; Deandre Baker, senior, Georgia. Safeties – Jaquan Johnson, senior, Miami; Taylor Rapp, junior, Washington. Punter – Mitch Wishnowsky, senior, Utah. Quarterback – Trace McSorley, senior, Penn State. Running backs – A.J. Dillon, sophomore, Boston College; Damien Harris, junior, Alabama. Tackles – David Edwards, junior, Wisconsin; Greg Little, junior, Mississippi. Guards – Alex Bars, senior, Notre Dame; Michael Dieter, senior, Wisconsin. Center – Sam Mustipher, senior, Notre Dame. Tight end – Kaden Smith, junior, Stanford. Receivers – N’Keal Harry, junior, Arizona State; Anthony Johnson, senior, Buffalo. All-purpose player – Deebo Samuel. senior, South Carolina. Kicker – Rodrigo Blankenship, junior, Georgia. Ends – Rashan Gary, junior, Michigan; Raekwon Davis, junior, Alabama. Tackles – Dexter Lawrence, junior, Clemson; Jeffrey Simmons, junior, Mississippi State. Linebackers – Cameron Smith, senior, Southern California; Troy Dye, junior, Oregon; Mack Wilson, sophomore, Alabama. Cornerbacks – Byron Murphy, sophomore, Washington; Julian Love, junior, Notre Dame. Safeties – Lukas Dennis, senior, Boston College; Andrew Wingard, senior, Wyoming. Punter – Jake Bailey, senior, Stanford. Published: Aug. 21, 2018, 9:02 a.m. Updated: Aug. 21, 2018, 9:32 a.m.